Who doesn’t love chocolate? The dark, sweet, creamy richness is a daily part of many of our lives. But do you know how healthy chocolate is for us? It’s rich in antioxidants, vitamins, and minerals, and has numerous physical and mental health benefits. 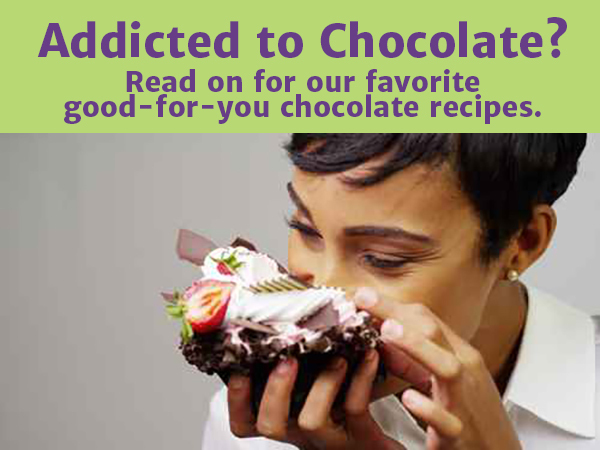 Most nutrition experts agree that these benefits of chocolate are most notable in dark chocolate. A Chocolate a Day Keeps the Pounds Away? Should you eat chocolate with every meal? Probably not, but it can definitely be part of a healthy diet! Unfortunately, a chocolate candy bar low in cocoa, over-processed, and loaded with calories, refined sugar, and unhealthy fats offers few, if any, of these wonderful benefits. Look instead for dark chocolate bars made with raw, organic chocolate and at least 70-85% cocoa… or try making your own healthy cocoa treat like this decadent Raw Chocolate Walnut Fudge made with raw cacao, natural sweetener, and coconut oil.